This 2018 update to CTU’s 2012 report provides a counter-narrative to the corporate agenda on education and highlights the role of CTU’s campaigns, including for contracts, in fighting it. 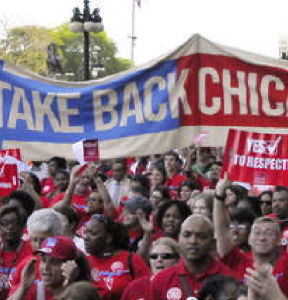 Chicago Teachers Union affiliations include the Chicago Federation of Labor (CFL), the Illinois State Federation of Labor-Congress of Industrial Organizations (ISFL-CIO), the American Federation of Labor-Congress of Industrial Organizations (AFL-CIO), the Illinois Federation of Teachers (IFT), and the American Federation of Teachers (AFT). 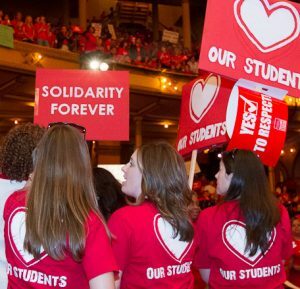 © 2019 Chicago Teachers Union. All Rights Reserved.